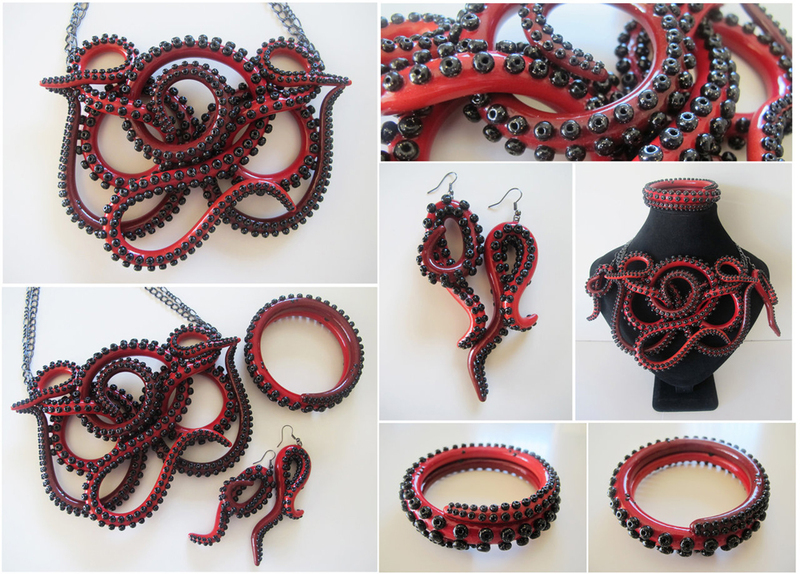 This time we want to show you wonderful collection of the custom octopus tentacle jewelry made by DeviantARTist KTOctopus (aka Kaity O’Shea). 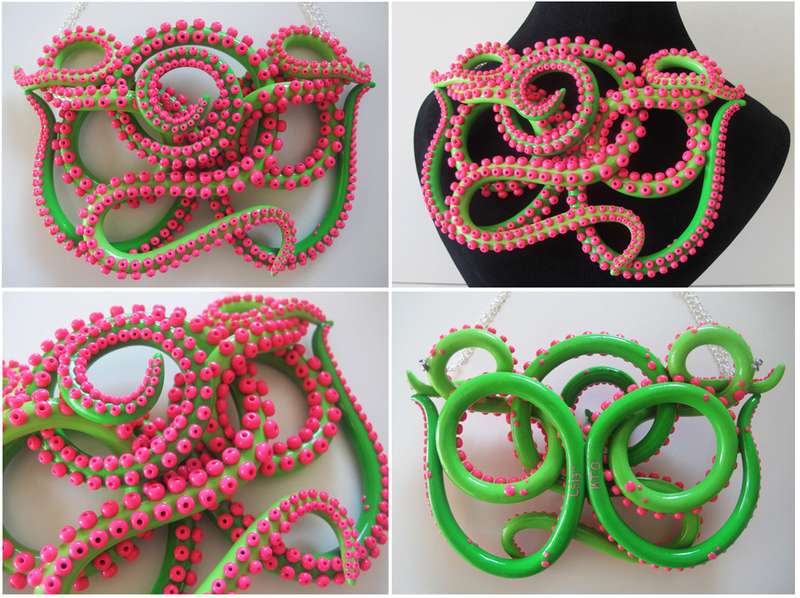 She makes totally awesome tentacle necklaces, bracelets, and earrings from polymer clay. 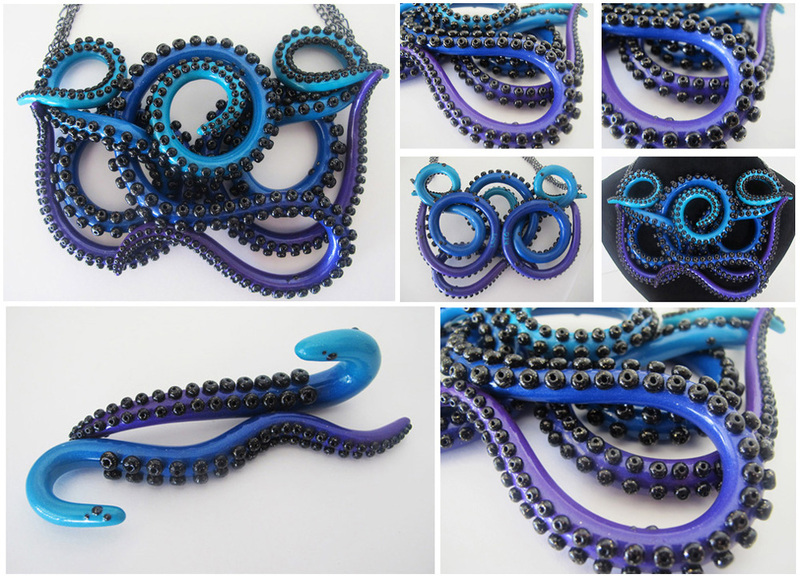 In the following collection you will be able to find a bunch more designs and color combos. Interested? 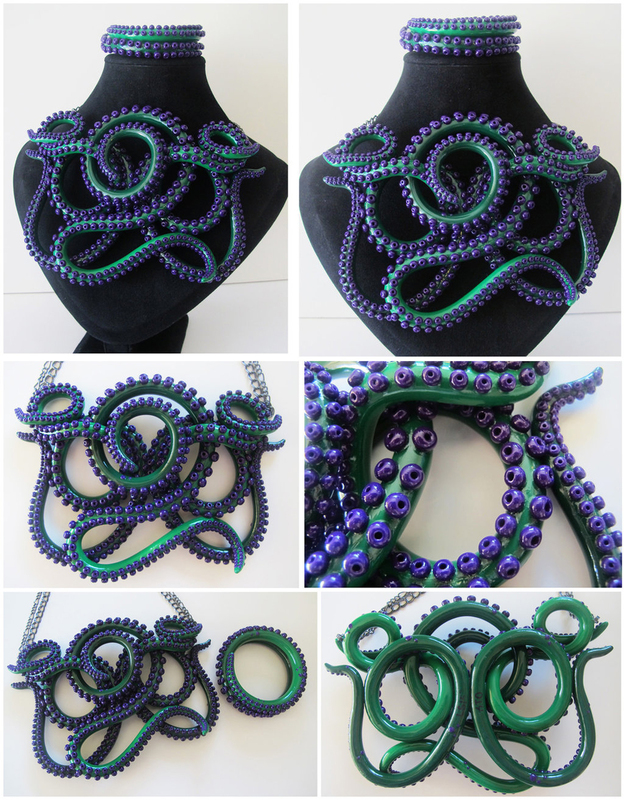 Kaity is open even for custom designs!